Nicholas Delbanco is the Robert Frost Distinguished University Professor of English Language and Literature at the University of Michigan and Chair of the Hopwood Committee. He has published twenty-seven books of fiction and non-fiction. 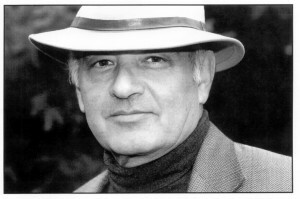 His most recent novels are The Count of Concord and Spring and Fall; his most recent works of non-fiction are The Countess of Stanlein Restored and The Lost Suitcase: Reflections on the Literary Life. As editor he has compiled the work of, among others, John Gardner and Bernard Malamud. The long-term Director of the MFA Program as well as the Hopwood Awards Program at the University of Michigan, he has served as Chair of the Fiction Panel for the National Book Awards, received a Guggenheim Fellowship and, twice, a National Endowment for the Arts Writing Fellowship. Professor Delbanco has just completed a teaching text for McGraw-Hill entitled Literature: Craft and Voice, a three-volume Introduction to Literature of which he is the co-editor with Alan Cheuse; in 2004 he published The Sincerest Form: Writiing Fiction by Imitation. His new non-fiction book, Lastingness: The Art of Old Age will be published by Grand Central Publishing in 2011. NOTE: The following biography was composed in 2000 by Jon Manchip White and reflects information only up to and including that year. The cultural ambivalence, if such it may be called, manifested itself early. At Harvard, his B.A. thesis was devoted to a joint study of Rilke and Heredia, two noteworthy wanderers, and the subject of his M.A. thesis was that tragic outcast, Malcolm Lowry. Examining the numerous novels Delbanco has published to date, one finds that only five are set exclusively in the United States and that the majority are set, either in whole or part, in Provence, Tuscany, Greece, Switzerland, or as far afield as Barbados and Mexico. Several of his non-fiction books are concerned with Europe, one of them a study of that remarkable group of literary exiles, including Conrad, Crane, and James, who lived and worked together in a small corner of England at the turn of the last century. Indeed, one of the courses Delbanco has taught over the years is specifically entitled “Exiles,” and is devoted to Becket, Conrad, and Nabokov, while other courses have featured a gallery of roving and displaced novelists such as Joyce, Lawrence, Forster, Ford, Mann, Fitzgerald, and Hemingway, all of whom, like Delbanco, shuttled between one country and continent and another and drew on the experience to add richness, variety and color to their work. In Delbanco’s case, these qualities have been enhanced by a cunning employment in his fiction of the kind of classical or Old World template that one encounters, for example, in Ulysses or in Eliot. These templates, or perhaps one might better call them armatures, none of them overtly stated, have included, to take random examples, the Theban Trilogy, the Orphic Mysteries, the Synoptic Gospels, and the stories of Eloise and Abelard, Tristan and Isolde, and the Prodigal Son. Delbanco, the supremely conscious craftsman, has always been a great one for what he would term his “strategies,” and the device has always lent a sense of depth and dimension to his otherwise contemporary plots. One must not, on the other hand, exaggerate the element of dépaysement in his work, or suggest that he is in any way a species of literary castaway. On the contrary, if in one sense he can be regarded in the honorable guise as an homme de lettres in the European mold, in another he must be regarded as an authentic if somewhat exotic performer—in the home-grown American manner. Since the age of eleven, after all, he has been domiciled in the United States, and therefore the cosmopolitan complexion of his work should be viewed as merely an addition to its natural elegance and polish. We have mentioned Vermont as being one of the principal locations of his fiction. That state, where for two decades he was on the staff of Bennington College, has provided the setting for no less than five of his novels, including the magisterial Sherbrookes trilogy, which will possibly prove to be one of his greatest achievements. It was at Bennington, home to a close-knit company of writers, painters, and composers, that he conceived and brought into focus an idea that has been central to his career: the notion of the artistic community, and particularly the literary community, as a fellowship, a sodality, a guild almost in the sense of a craft guild in the mediaeval usage of the term. This conception was at the root of the notable series of Bennington Summer Writing Workshops that he founded in 1977 and presided over until 1985, when he left Vermont for Michigan. The aim of the Workshops (significant term) was to bind the band of mature writers who took part in them more closely together and to provide the students who would form the next generation of writers with an insight into the mysteries of technique. The preoccupation with technique has always been a prominent feature of Delbanco’s fiction, as it was for Rilke, James, Ford, Conrad, Nabokov, and other writers who have influenced him, and as it was for John Gardner, Bernard Malamud, and other novelists who worked closely with him at Bennington and elsewhere, and for John Updike, his mentor and teacher at Columbia. It was at Bennington that Delbanco wrote eleven books of fiction and three volumes of non-fiction, and where he developed his very personal style. How to describe this style? Delbanco’s style is not at all the bald, slam-bang, in-your-face, go-for-the-jugular style common in American fiction. On the contrary, it is graceful, allusive, oblique, a cat’s-cradle in which he artfully enfolds and enmeshes his characters and subjects. It is feline, the high style of the conscious craftsman. The prose is lyrical and inflected, and one may usefully indicate its general effect by noting its palpable affinities with painting and with music. Delbanco’s immediate family were intimately connected with the visual arts. His uncle Gustav was a founder of the firm of Roland, Browse and Delbanco, one of London’s premier galleries. His father, a painter himself, and still exhibiting at the age of ninety, came to America to establish a branch of the gallery in New York. As a young man his son Nicholas, who had early tried his hand as a painter, recrossed the Atlantic to serve an apprenticeship in the original firm, and his wife Elena is herself an accomplished artist. Delbanco’s stylistic methods have surely been affected by this lifelong link to the art of painting, both in the composition of the novels and in the meticulous laying on of color. He paints with a precise brush, not with a brash attack but with careful strokes. His characters and situations shape themselves with the subtle, suggestive, softly luminous half-light of a Chardin, say, or a Vuillard. Similarly, the sister art of music has played a major role in Delbanco’s evolution as individual and as writer. His wife is the daughter of the celebrated musician Bernard Greenhouse, for many years the cellist of the Beaux Arts Trio. Delbanco has not only devoted an entire book to an account of a European tour of the Beaux Arts Trio, but at this writing has in preparation a second book describing the fascinating history of his father-in-law’s Stradivarius, the “Countess Steinlen.” And again, when one considers Delbanco’s style in its relationship to the art of music, it is once more a French master who springs to mind, Debussy, in the intricate play of its motifs, its deft shifts of key, and the astute handling of its dynamics.